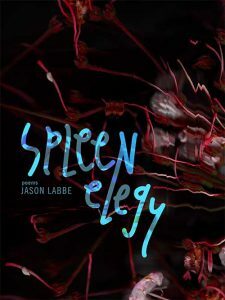 Spleen Elegy is Jason Labbe’s long-awaited debut collection of poems, a book that negotiates the bewilderment of waking from trauma into the strange and unfamiliar landscape that is digital America. Aesthetically varied, these poems present a soundscape that modulates seamlessly between fuzzed-out guitars and trees full of morning birds, between a radio station of translucence and a shore of digital noise. In the painfully beautiful spaces of Spleen Elegy, music, the natural world, and motors rumbling on the interstate never fail to rise above the chatter. With images by Melanie Willhide.